The perfect way to get the most out of your vacations, and look stylish! 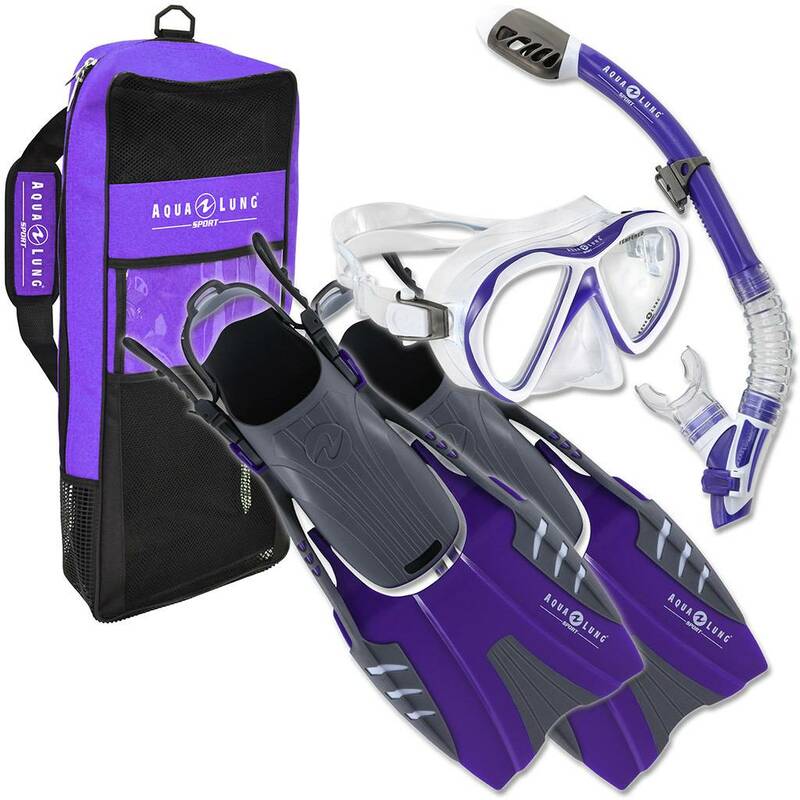 This Aqua Lung snorkling set is designed for adults who want an all-in-one snorkel kit for a good price. Keep on swimming and enjoy your underwater adventures with a mask, fins, and a snorkel! This kit features a high-quality Aqua Lung mask with tempered glass lenses. Masks with tempered glass ensure safety and great vision underwater. The pivot fins are made with highflex technology to reduce leg stress for longer sessions underwater without any strain. With adjustable foot straps, you’ll always have optimal comfort. The snorkel features a purge valve and a mouthpiece made of hypoallergenic silicone, to ensure that you get the best quality for the best price. 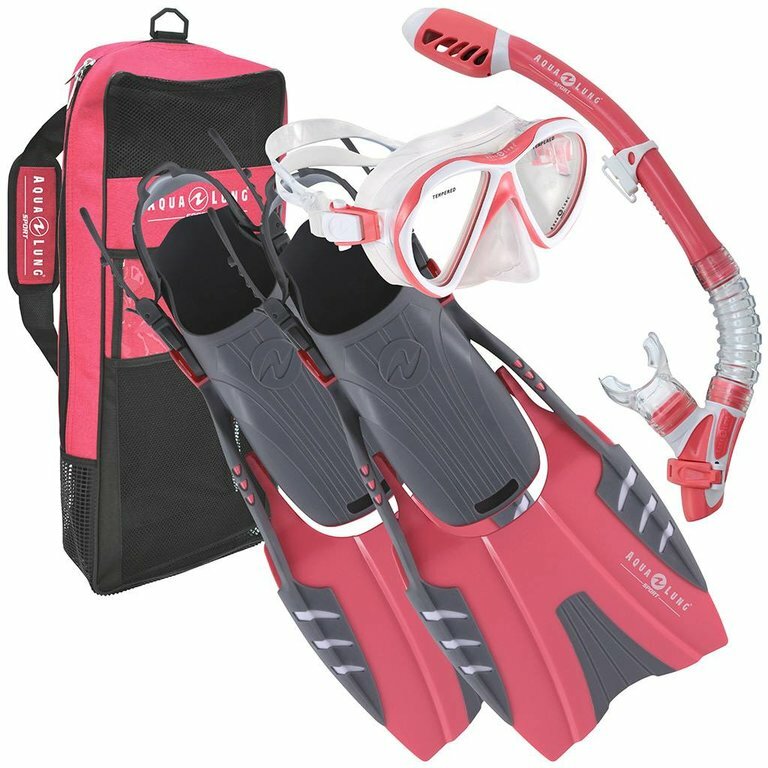 This snorkling kit is the perfect size for vacations! Whether you’re headed to the lake or to the tropical beaches down south, you’ll always have room for your fins, mask and snorkel. The set also comes with a helpful travel bag and a strap so that you don’t have trouble carrying it around. Jump in!